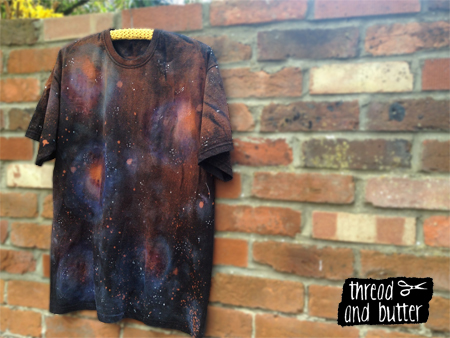 The following guest blog post is written by freelance writer Keir McCarton, currently working with Banana Moon, a clothing company specialising in personalised and customised clothing. Banana Moon's workshop is committed to ensuring that suppliers maintain an appropriate standard of responsible production. Being green is a scary word for a lot of us because we worry it means giving up elements of our lives which we hold dear to ourselves. Yet being green is not about giving your life away but rather a case of considering changing small elements of your lifestyle into a more sustainable set of behaviours. 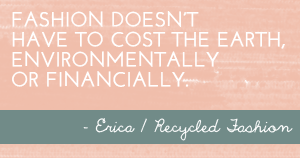 A major part of this we can all play is in recycling our old clothes. 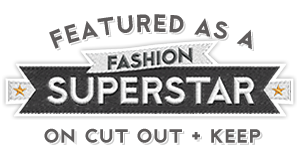 We all like to keep up to date with latest fashions and often we discard old clothes for new trendy ones. Wardrobes worldwide are left teaming with old clothes that wait patiently for their chance to see the light of day once again. 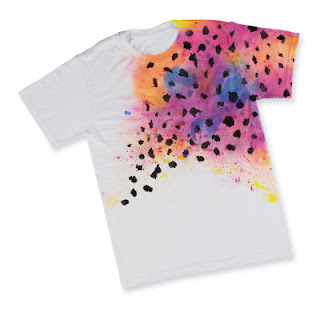 T-shirts are the ones which are most plentiful, neatly stacked and often plain in design perfect for a revamp. 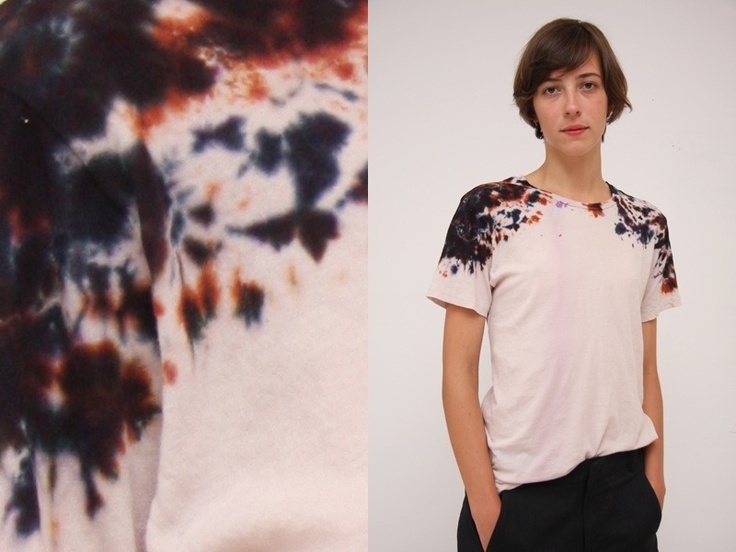 By revamping old t-shirts, there is no need to give them away to charity shops or discard them. 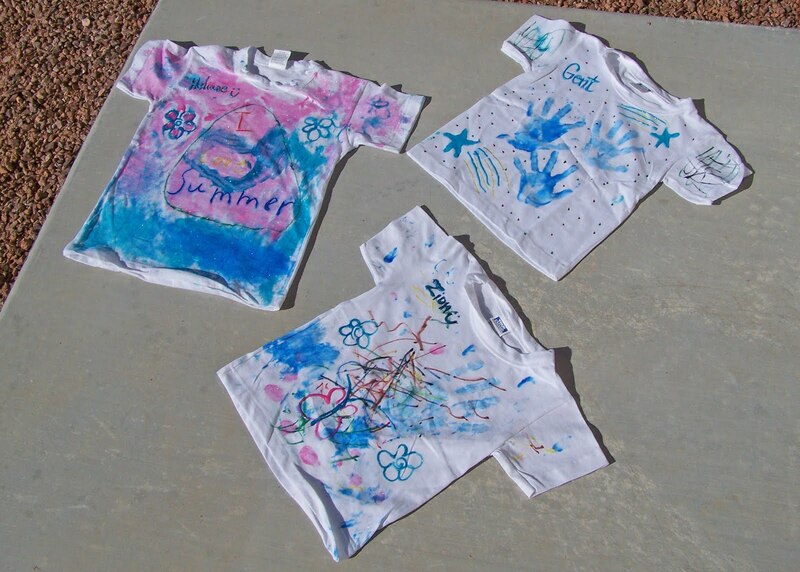 By using paints and pens you can create your own personalised t-shirts crafting new garments that are unique to you. If you have kids in the house then this can be a perfect activity for them - especially during the summer holidays. It takes some of the pressure away from you as the parent always trying to find new ways to entertain them and gives them a perfect excuse to make their own cool t-shirts whilst getting messy at the same time. The materials you will need are very easy to come by and should only cost you a few bucks. Get your t-shirts from the wardrobe, fabric inks, paints and pens from the local craft store. You may want some fabric glue also so you can add extra detail with things like glitter and sequins. Have two old bed sheets ready to put down on the table and floor because it may get a bit messy. It might be a good idea also to have a bucket filled with soapy water at the ready for when the kids are done and they start to wander off with messy hands. Whilst the kids are busy with their t-shirts why not create some recycled couture of your own? Adding neon paints to plain t-shirts is a fun way to stay on trend or just stick to the colours that you like, but remember is in. If you are feeling especially creative then why not try your hand at some of this season's prints such as Navajo, geometric, striped, animal or wild and ethnic. Which ever you choose it will keep you entertained for a few hours, and add a new collection to your wardrobe at a fraction of the cost. Finally sit back and admire all the creativity that is floating about the room. Add a little extra fun into the mix for the kids by getting them to compare their creations. Whilst they are showing them off make sure you show yours off too, let the big kid in you out for a bit. After all this remember to get out your camera! I love the neon animal print one. 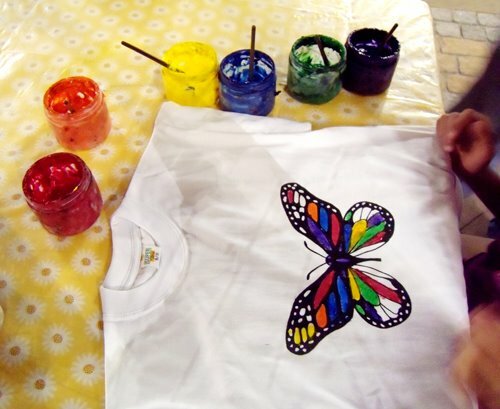 I loved that painted butterfly T-shirt. A perfect gift for my girlfriend. I am surely going to try for her this summer. Nice other ideas within! Thanks!